9 DAYS OF DARKNESS and ME! PS And be sure and drop by TOMORROW when ADRIAN PHOENIX will be the featured author for the 9 Days of Darkness Event. I’m in excellent company over at Demon Lovers Blog this week! It’s 9 Days of Darkness with a different author every day! I’ll be there on Wednesday, May 26th. 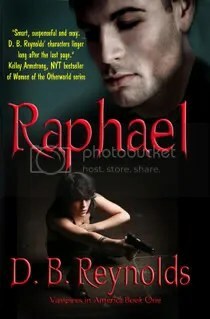 There’s a new interview, a review of Raphael, and I’ll be on station between 10:00 am and 4:00 pm PST to take questions. I’ll be checking in all day and all week, but during those hours on Wednesday, I will be sitting right here at my computer, ready to talk. As usual, I’ll be giving away an autographed book. The promo says it’s Raphael, but if the winner wants one of the other books, that’s fine with me. I’m the lead-in for Adrian Phoenix, by the way. Not bad, huh? Adrian will be there on Thursday, the 27th, and she’s giving away a whole set of her Maker’s Song books. So plan on dropping by BOTH days to say hello. Or, heck, drop by all nine days! For me, it’s been another week of revisions. 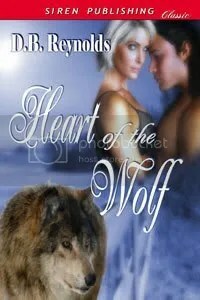 I received the copy edit/revisions on my werewolf e-novella, Heart of the Wolf, this week, so I’ve been working on that. And I expect to receive the copy edit/revisions on Rajmund any day now. 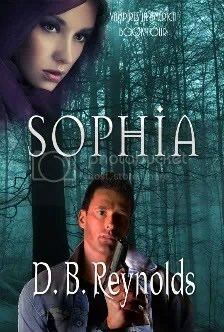 In the meantime, I’m writing away on Sophia (book 4) and I’m more than halfway home on that one, too. And when I’m not doing those, I’m doing some research on a new series. I’ll still be doing my vampires, and hopefully, my werewolves, too, but I’m looking for something new. I don’t want to give anything away yet, but I’m kind of excited. And as long as I’m researching a new series, is there any particular paranormal you all would like to see more written about? Okay, a while back, I had to come up with a list of questions for myself to answer, which would then go on my author profile for my upcoming werewolf novella on Siren-Bookstrand. I asked my readers for help and got a lot of great questions. I used several of them, sometimes combining and/or tweaking them a little. Q – have you ever written a character, then realized that some aspect of them was based on someone you knew even though you hadn’t planned it that way? A – I’ve never done that by accident, but I’ve definitely done it on purpose. Not in terms of appearance, but rather personality traits and modes of behavior. People rarely recognize themselves, though. I guess we see ourselves differently than others see us. Q – Are you asked to do re-writes/tweaks by your editor/publisher before publication or is your manuscript finished when submitted? A – I’m definitely asked for revisions by my editor/publisher. A lot of technical stuff, but some substantive edits, as well. Like logical problems in motivation or sometimes my vamps get too brutal/bloody minded and she reins me back in. Q – How many books do you plan to write in your Vampires In America series? A – I get this question a lot. There will be eight books, one for each of the North American territories. Q – Do you know the entire plot of your book when you start to write it? A – Pretty much. I do a fairly thorough outline before I start writing. But sometimes, as I write the book, I discover a whole different way of doing something, a different motivation for my character or an interesting sub-plot and then things do change. Q – Will your vampire and werewolf series ever cross? A – Probably not. Because, once again, different publishers. Although, my readers should look for subtle crossovers between the books. There won’t be anything up front, but if you pay attention, you might see something. Q – Who is your favorite vampire in your series? A – Favorite? I don’t have favorite. I love them all. The good guys, anyway. Q – Do you “dream cast” your characters, either for fun or just to have handy reference models? A – You know, I don’t do that, especially not for my lead characters. I have a very firm picture in my head of what they look like, but it’s not based on any particular person. 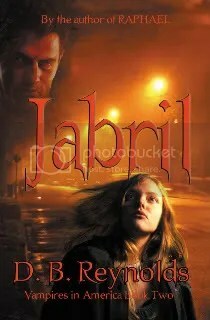 Q – What made you came up with their names: Raphael, Cyn, Jabril, and Rajmund’s name and in fact the name every main character in the book? What’s the reason, the philosophy behind them? A – There’s no philosophy, per se. But the names are important to me. I know who my characters are–their personalities, their histories and motivations–before I name them. And then I have several name generators I use to search for the right name. Sometimes, it’s limited by their ethnic background, sometimes not. I just know the name is right when I see it. The one exception is Raphael. I needed a name for him that was not only right for him, but that was consistent with having the Russian monk name him after his vampire rebirth. Q – How/Where did you get the ideas for Vampires In America series? How did everything started and why? A – Everything started with that opening scene in Raphael. 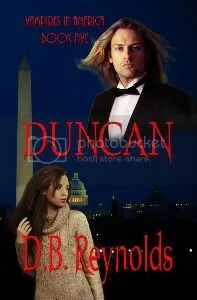 With a female vampire being kidnapped and her statement to her kidnappers that “he” will kill you. That scene just flashed in my head one day and stuck. And I started writing from there. Okay, interview over! If your question wasn’t answered here, it might be because I used it in my werewolf interview, or it might have gotten combined with someone else’s question. In any event, I’m always happy to answer questions, so post away. Finally, I want to let you all know about a great opportunity for both readers and writers to contribute to a good cause while bidding on some great stuff. Author Brenda Novak holds an auction every year for the benefit of Diabetes Research. There are some incredible items up for auction, and there are inexpensive random drawings, too. So I encourage you to check it out. Here’s the link. Hope all of you who celebrated yesterday had a lovely Mother’s Day and have a great week! Well, Blogmania was a bit overwhelming, wasn’t it? But, we now return to our regularly scheduled program . . . and the WINNER OF MY REGULAR APRIL CONTEST is Dannigrrl. Danni wins a copy of any of my books, autographed and everything. Pick a title, Danni! Even Rajmund, although you’ll have to wait until July for that one. I’ve been working all week on Rajmund revisions. I’m so excited about this book! I turned it into my publisher so long ago, and I’ve been working on my werewolf novella and other projects, as well as my 4th Vampire book for so many months now, that I’d forgotten just how much I love Rajmund! I can hardly wait for the release date! Also, I’ve received quite a few requests for the first two Vampire Vignettes from readers who’ve just discovered my blog. In honor of Rajmund’s release, I’m going to re-run the first three Vignettes, one week at a time, and then post Vignette #4. I’ll be posting the schedule here on my blog, so stay tuned if you’ve been looking for the first two. We’re into May already. Amazing. But that means a new contest. The usual rules apply, post a comment during May and your name goes into the hat for an autographed copy of any one of my books. That’s it. I’m back to revisions for Rajmund. Almost finished now and it’s getting wonderfully tense over there! I LOVE this book! PS I’ve added a “subscribe” button over on the right, beneath my current and forthcoming titles. That’s in response to a few blogmania queries — people wanting to subscribe and not knowing how. So, there it is! Yep. We have a winner for my Blogmania giveaway. And thanks to everyone who participated in Blogmania and, especially, everyone who commented on my blog. Come back soon, because I give away books every month! I’ll be announcing the winner of my regular April contest later tonight in my usual wee hours of the night Sunday post.